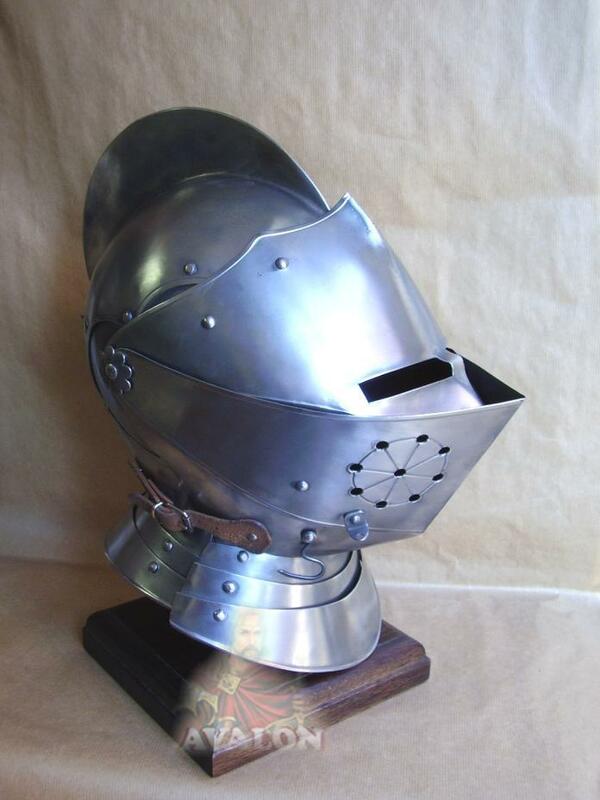 Helmet Knight with hinged visor, worn by men, usually in combination with a full plate. 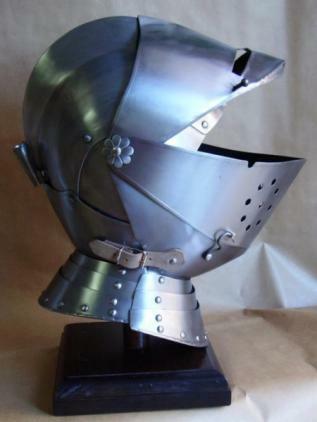 Typical European helmet knight of the sixteenth century, worn by men-usually in combination with full armor. 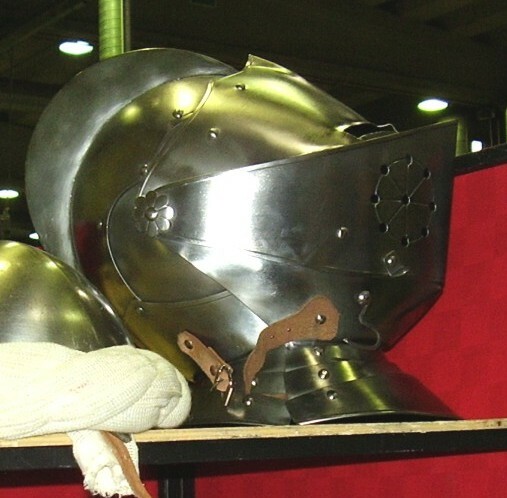 Equipped with movable visor slit for the eyes, a fan mounted on a swivel and has holes for ventilation, as well as to barbozza opened. 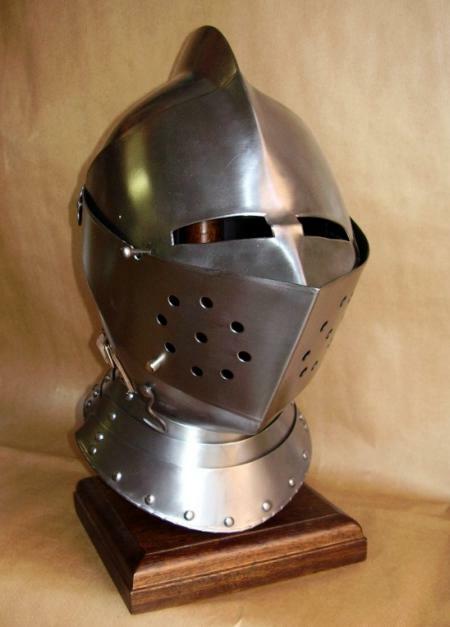 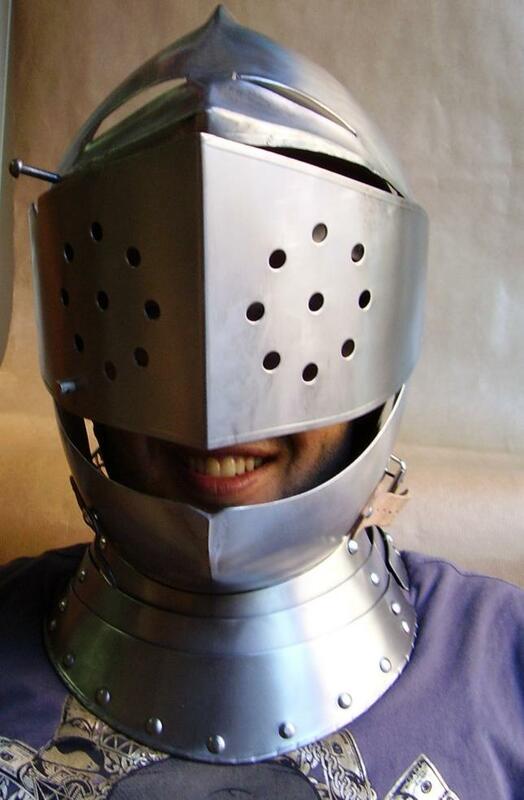 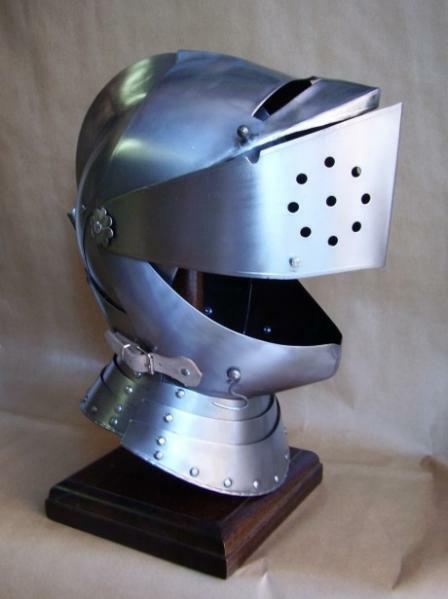 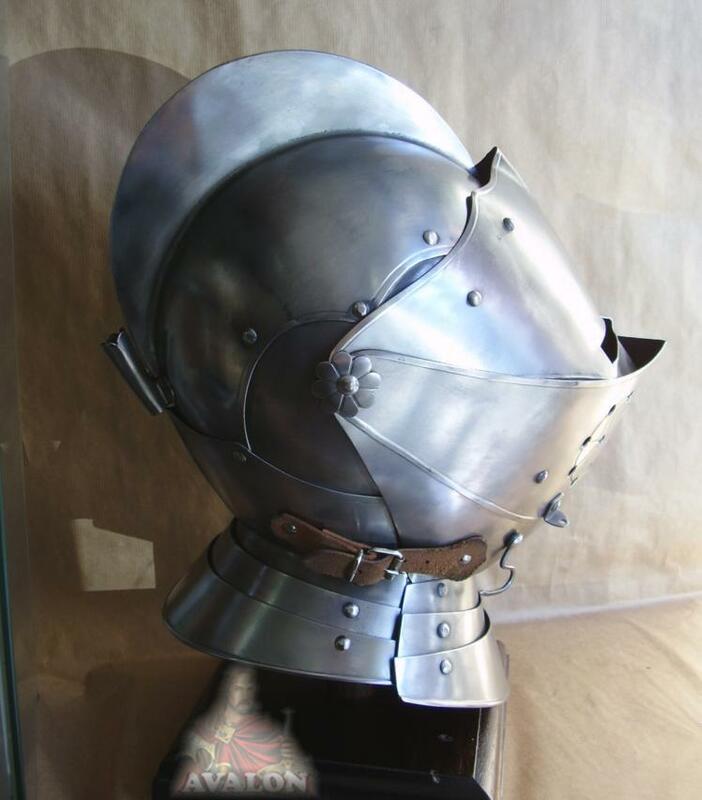 Helmet knight armour is produced by highly skilled artisans in Italy.